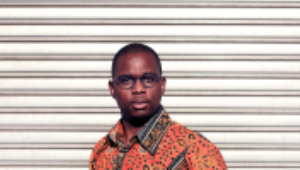 Masuku was introduced to podcasting by veteran South African radio personality Ian Fraser, commonly known by those who listen to him as Ian F. Fraser pointed Masuku in the direction of the Startup Podcast, produced in the United States, and suggested that he work on a podcast of his own. A month later, around October 2014, Masuku bought his first microphone and began recording interviews with “inspiring local entrepreneurs”. A few months later, Masuku began telling his “own stories” and says that is when his eyes started opening to the commercial potential of the medium. “The African Tech Round-up podcast was birthed as part of my strategy to monetise what was swiftly becoming a passion,” Masuku says. What he enjoys most about podcasting is the unstructured nature of the medium, and being part of a “highly experimental fraternity of global producers”. “The best parts of a podcast, from the listener's perspective, are often improvised or unplanned moments that make for an intimate, conspiratorial vibe you'd be hard pressed to achieve on any other platform,” he says. The biggest surprise for Masuku has been how much work goes in to being a consistent podcaster, and how difficult it is to “be yourself” on the mic. As a professional who grew up listening to Zimbabwean Broadcasting Corporation newsreaders like Joseph Madimba and Colin Harvey in Bulawayo, Masuku says what he does for a living is not rocket science, but admits that there are easier things in the world to try and master. Beyond the African Tech Round-up, Masuku is also the executive producer of and presents the #AndilesTake, African Tech Conversations, and The Presentation Fix podcasts; develops and executes content strategy and tactical media plays for leading companies; does voice over work – which he cites as especially enjoyable – ; takes on freelance work for commercial television and radio; and offers MC and event direction services. To cap it all, he also oversees marketing and channel development for his own grape juice company, Latanda Gourmet Grape Juice. How does he have time for it all? “I have learnt to stay organised and manage my time well by making a distinction between what's urgent and important, and focussing on what's in front of me,” Masuku says. Masuku never studied journalism or production, but that did not stop him taking on a wide variety of roles within the media industry. “As a business major who never formally studied journalism or production at varsity, I am acutely aware of the blind spots that my studied contemporaries within media and broadcasting have when it comes to digital transformation,” he says. In Masuku’s view, anyone not actively acquiring the skills and experience necessary to remain useful and relevant in a digital-first environment will struggle. He considers crucial the acquisition of skills such as entrepreneurial proficiency, entry-level programming, social media management, online community development and PR, as well as basic sound and video production, writing, and editing. “I believe that the future is bright for media pros who take the time to up-skill themselves in these areas and seek out opportunities to gain practical experience in them, whether by starting their own ventures or by investing time and effort in worthy projects launched by others,” Masuku says. For more information, connect with Masuku on Twitter.